KICKING OFF THE NEW YEAR WITH A TRIBUTE TO REV. JIM FORRESTER R.I.P......PLUS SOME NEW MUSIC AND ALL OF YOUR FAVORITE DOOM,STONER,SLUDGE AND PSYCHEDELIC ROCK TO END THE WEEKEND OR START THE WEEK NO MATTER HOW YOU LOOK AT IT!!! thanks everyone..... TOP 17 OF 2017 NEXT WEEK!!!!! Great Show Dozer! Thank you again! I gotta run Dozer Man. Great show. See you next time. 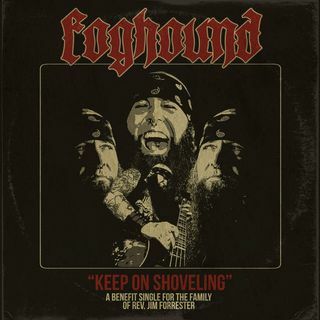 ripplemusic.bandcamp.com search "keep on shoveling"
Fatal Error....hmmm new band name?